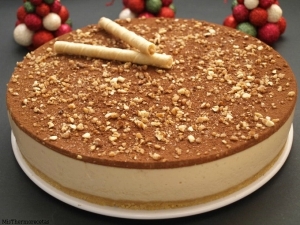 Recipe nougat cake with this cake you can enjoy nougats a differently. First, to say that if you are very fond of this nougat nougat cake you are going to enjoy it immensely. This nougat cake is very simple and easy to do and at the same time is very rich. 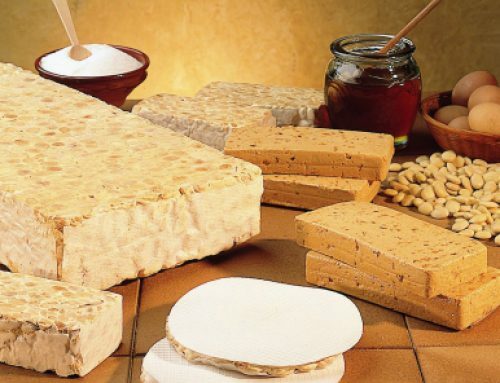 Before you begin to tell you the recipe nougat cake, I have to say that eating craftsmen nougat is a way of eating healthily, since most craftsmen do not use additives or preservatives our nougat out as possible rich and healthy, and of course eat homemade pies nougat is also very healthy. Having said all that, we started the recipe nougat cake, a recipe that Barcelona would love Sirvent the probaseis into your houses to eat this holiday season. First, as in all items of recipes that we published, we will present each and every one of the ingredients that you must have on your kitchen counter, to start making your nougat cake. Almond crocanti (to taste to decorate)The first step will be to prepare the base of the cake nougat. First, we chop all cookies. We can do it in any way, that yes, we have to grind until they are virtually dust miss. The type of cookie is your own taste, you can use all types: type Maria, golden, whole …Once we have all finely ground cookies, we mix with 100 gr. butter, we have previously melted. Mix everything until a compact and well blended.When we have the mixture ready, we will extend uniformly within our circular mold, and preferably silicone, that way we can make the cake more easily. The biscuit base must be well distributed so that the entire base has the same thickness. 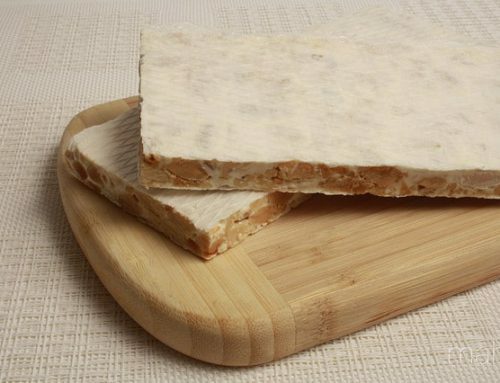 When we list the distribution of the base, we will put the mold in the fridge and reserve, thus let stand while continuing with recipe nougat cake. Now it’s time to hydrate the gelatin neutral, we must put the gelatin sheets hydrate in a saucepan with cold water and leave there until swelling (10 minutes). While the films are hydrated, we will make the mixture nougat and milk. 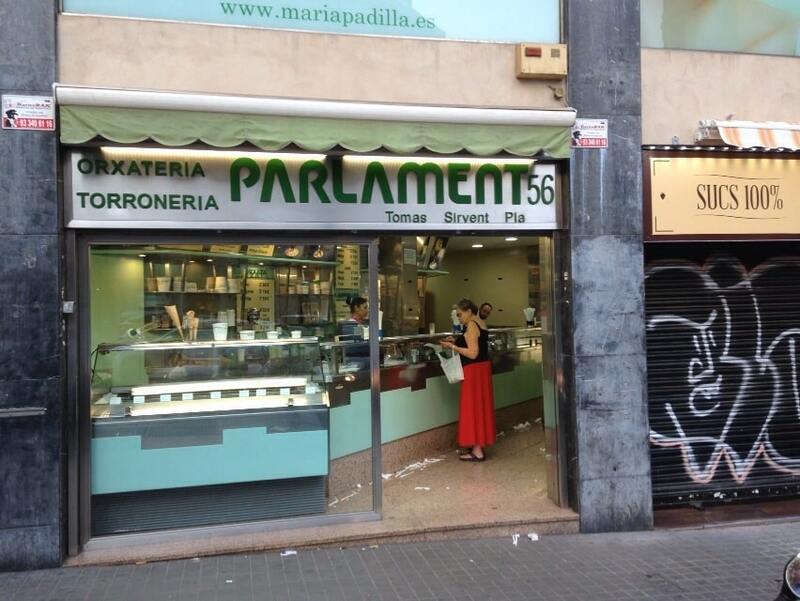 We’ll take in a saucepan all the Milk along with the turrón Jijona cutting medium heat, mixing well for the nougat not remain stuck in the bottom of the pan. And we’ll leave it all hot for about 5 minutes. Over time we will go through the blender to make the mixture smooth. Back out hydrated gelatin sheets in 50 ml. hot water, stirring well. will add to the diluted gelatin mix lechecon Jijona nougat. 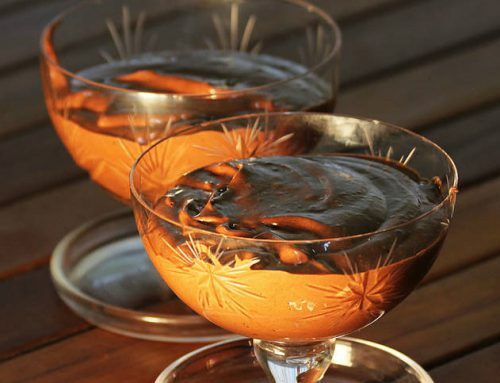 Very important: Add the mixture to the gelatine and not vice versa. We will move to make it all well linked and reserveFirst, we mount the cream with the sugar glass. VERY IMPORTANT: cold working is securely mounted so that is why both the cream and the container where the work will have to be cold. we will put the cream in the container and will beat until it passes from liquid to a creamy state, at this point we gradually add sugar while beating, stop when we have the cream with consistency and volume has been reached. Ideally, do it with wire whisk at minimum speed, but if you have, with a rod can be achieved by beating insistently to the desired state, yes, you have to have a little patience.It is time to make the final mix of our nougat cake. When we ready mix nougat with gelatin and whipped cream will be time to join them. You will have to be patient and go ligand both mixtures carefully, making gentle movements, so that the cream does not lose consistency. And now, it has reached the final step: mounting the nougat cake. Once we have the filling well linked cake, we will have to take the biscuit base that had been allowed to stand in the refrigerator and add to it the filling with the help of a bucket, starting from the center and spreading to the sides little little so that the base will not come up again. Let stand in refrigerator nougat cake for about 6 hours. And after this time will remove the nougat cake refrigerator , let stand a few minutes for the cake mold off a bit. Will remove the mold carefully and then acetate, decorate it with crocanti of almonds, all part decoration post going to taste Cook / a. 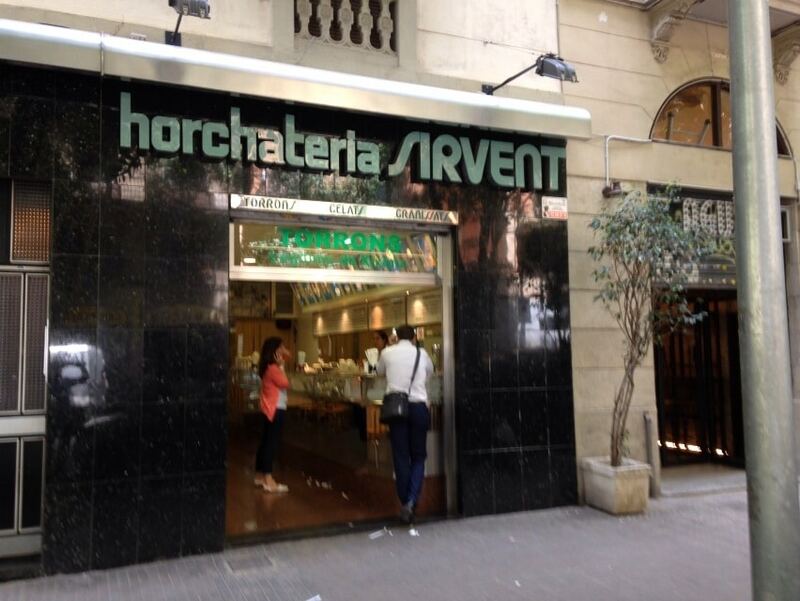 If you follow this recipe you are going to be able to enjoy the best receptas nougat pie in the Horchateria Sirvent Barcelona know and use in your own home. Now we just need to try at home to do it and you get it great so you can enjoy a good nougat cake. 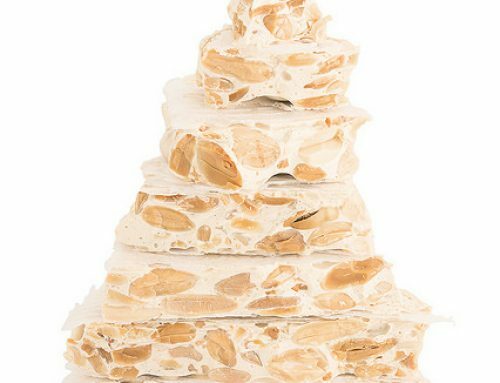 Now we just need to add a very important step: If you do throughout the entire recipe … send a photo of your nougat cake by our social networks (Twitter or Facebook ), and this way you will encourage more people to try this great and rich nougat cake recipe.